The Mosul offensive had been months in the planning - no-one was was left in any doubt it would happen. It had been telegraphed well in advance, with a starting date of mid-October given. So-called Islamic State (IS) had had plenty of time to prepare. The Iraqi security forces, helped by Kurdish Peshmerga fighters, seemed confident that their numbers, training and equipment would compensate for any loss of the element of surprise. That, and the US-led coalition's air power. On day one, the Iraqi army to the south of the city appeared to be making good progress. Their first task was to clear the dozens of villages on the road to the city. In theory, this should have been the easiest part of the offensive - the villages are surrounded by wide-open desert. As IS fighters fled villages that were being cleared, they could be picked off with air strikes. At least that was the theory. Day two showed it was not going to be that simple. 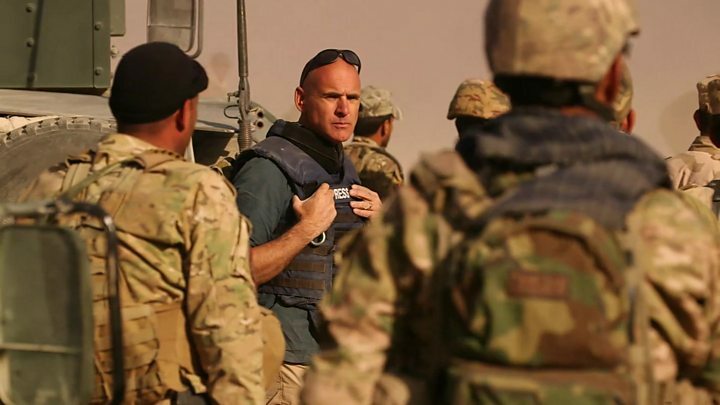 Media captionDefence correspondent Jonathan Beale is with Iraqi army forces on the road to Mosul. The advance slowed. IS fighters moved like ghosts, spotted one minute and disappearing the next. The extremists were using mortars and rockets to carry out harrying attacks as the Iraqi army tried to advance. The weapon that worried the advancing troops the most, however, was the suicide truck bomb. Even if it does not always reach its target, it can create panic followed by a rapid retreat - what the military prefer to term "a tactical withdrawal". The Iraqi security forces and the Peshmerga had more firepower to commit to the fight. On day four, they launched fresh attacks from the north and the east. The Iraqi special forces, who are expected to lead the assault into the city, joined the fight for the first time. They too came under heavy attack. After the first week, they have still yet to reach the city limits. It will be much harder fighting in the urban environment. About a million civilians are living inside the city - with the expectation that some will be used as human shields. Even in these early days, IS has already proven itself to be a ruthless enemy willing to fight to the death. 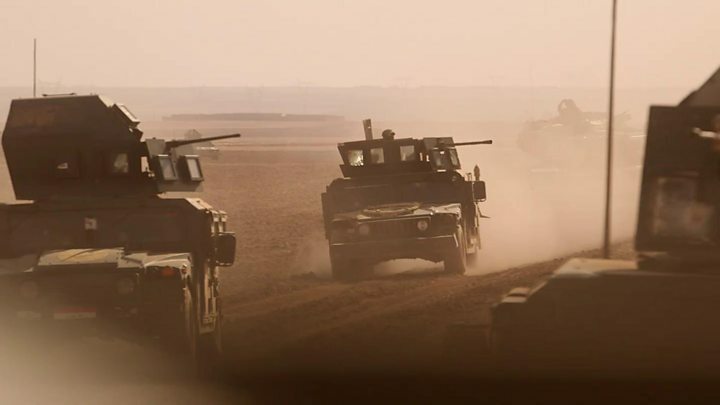 On the other hand, the Iraqi army, which fled Mosul without a fight as IS advanced in 2014, still has to prove it is ready and able to win this battle.